So spending an evening with nothing today is not really my style. So I thought I'd put together these Duo of awesome badges. They are backed onto brown paper and calico, stitched together and fastened on to our favourite squishy owl with tiny safety pins. 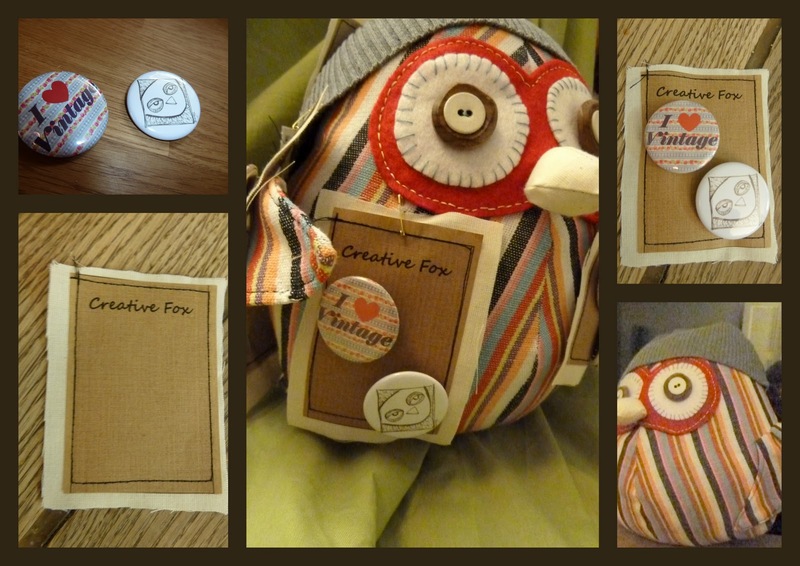 For those who just need a little bit of foxy in their lives - think Badge! Hopefully on Sale at The Orange Tree Theatre from Monday.